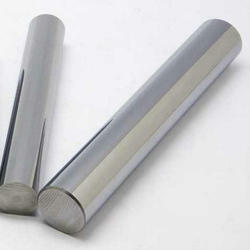 We are a leading Manufacturer of tantalum alloys, flexible electrical insulations and tantalum rods from Mumbai, India. The application conditions for any piece of electrical equipment can be extreme. It is therefore vitally important that insulation systems for motors, generators and transformers are designed around the most critical conditions. The right selection of insulating components including Flexible Electrical Insulation for the various voltages and temperature classes is paramount to the integrity of the electrical equipment. Flexible Electrical Insulation layers protect insulated wires from coming into contact with steel cores, hold wires in place, and provide a phase-to-phase barrier. To protect the conductor and insulation structure against mechanical, electrical, environmental and thermal stress, the whole winding is then consolidated using a compatible resin system. 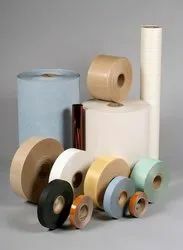 Typical Flexible Electrical Insulation applications are slot liners, phase insulations, wedges and slot closures. 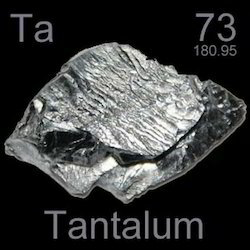 Looking for Tantalum and alloys ?